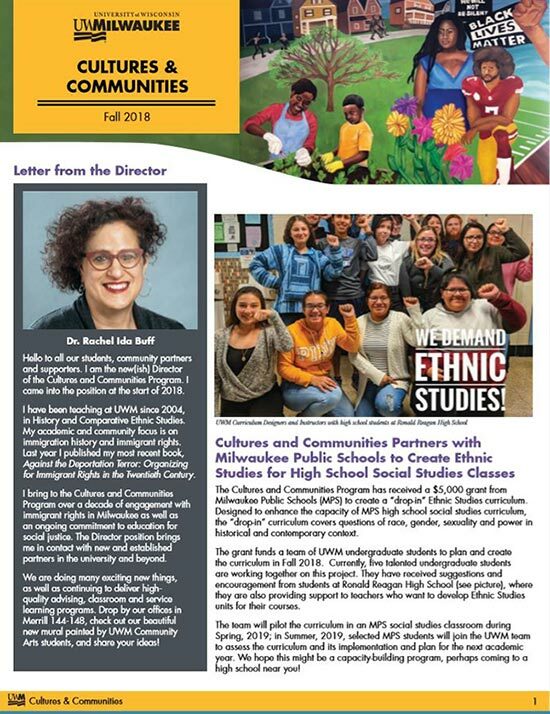 Check out our Fall 2018 Newsletter and meet our new director, Dr. Rachel Buff. Also, read about Cultures and Communities new mural painted by UWM Community Arts students, and more! Download the 2018 Fall CC Newsletter.